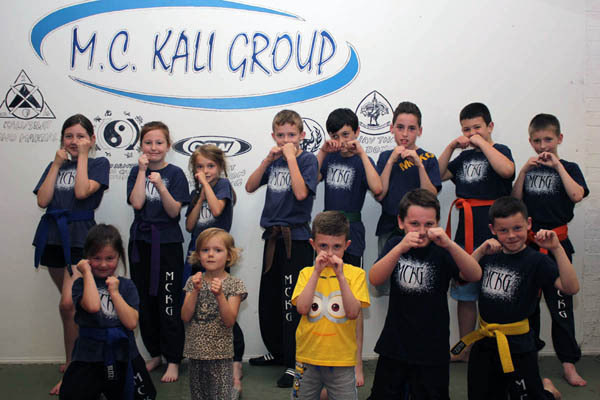 In the Kids and Teens Martial Arts classes, we teach stand up and ground fighting taken from a range of Arts including Kali, Jeet Kune Do (JKD) and Combat Submission Wrestling (CSW). We try to encourage awareness and concentration and help to build confidence, discipline, self defence and to increase fitness. Included in the Kids Class is a belted grading programme where the student can progress from beginner level to a higher level martial artist. Children are taught in a safe and friendly environment. No weapons are used in the children and teen classes. Lana and Kal thoroughly enjoy their training here. Mel is fantastic with the kids instilling them with confidence, self discipline, self awareness without them even knowing it. All the while teaching them self defence skills in a relaxed friendly family environment.